The evil brothers were busy now making another plan to fool their father. They killed a young goat and smeared Yusuf’s shirt with its blood. They waited until nightfall, before going back home to show that they had made an effort to search for their brother and save him. They pretended to be crying. “O father!” they wept, “What you feared has actually happened! We ran races and left Yusuf to look after our belongings. No sooner had we turned our backs than a wolf, seeing that Yusuf was alone, attacked him and ate him up.” They produced his shirt soaked with the goat’s blood as evidence. 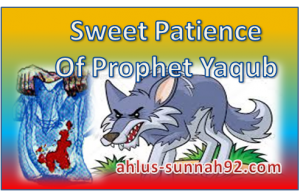 Yaqub’s (a.s) earlier fear about a wolf made them imagine that he would readily believe this story. Yaqub’s (a.s) was utterly shocked and very distressed to hear this terrible news. He listened to the story about the wolf, but did not believe it. He was a wise man and could read their hearts. He sensed that there had been some foul play. When he examined the shirt, he saw that although it was bloodstained, it was not torn anywhere. In his heart he refused to accept the story: how gentle the wolf must have been to devour Yusuf (a.s) but leave the shirt untouched! “No!” he cried, “Your souls have tempted you to evil. 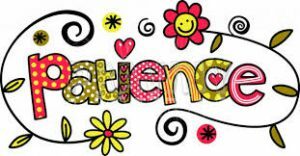 Sweet patience! (Sabr Jameel!) Allah alone can help me to bear the loss.” Thus Yaqub (a.s) stilled his heart and begged Allah’s assistance. For days he did not speak. If the brothers expected to receive more love from him with Yusuf (a.s) gone, they were mistaken. Yaqub (a.s) spent more time in prayer and meditation. He asked Allah’s protection for his little son. He consoled himself remembering Yusuf’s (a.s) dream of eleven stars and the sun and the moon. He was confident that Yusuf’s (a.s) must be alive somewhere and that Allah might have chosen him for some more noble cause. Besides demonstrating the unshakeable faith and highest degree of piety and righteousness of the Prophet Yusuf (a.s), his “most beautiful story” offers several extraordinary lessons for the faithful. One is that Allah always plans things that are for the betterment of the believer. Even if at face value something that happens looks like a hardship, it may eventually turn out to be a blessing. This is exactly what happened in the case of Yusuf (a.s). He was thrown into a well, only to be taken to a better place. He was brought up in a noble family of very high rank in Egypt, and was given excellent training and education. He turned into a man of remarkable ability and wisdom. Despite being tricked and cast off by his brothers, being sold into slavery, and then falsely accused and imprisoned in Egypt, Yusuf (a.s) remained patient and truthful, and he kept his trust in the Lord. So Allah stayed with him. He did not forget him. He had a great plan for the Prophet Yusuf’s (a.s) future. Just to let you know. Even though I’m not a kid nor I am a Muslim, I really enjoyed reading this. I have bookmarked this page to come back for more. I really really really hope that you will keep on updating more stories from time to time. That’s a great encouragement to keep me going. Thank you so much. InSha Allah more stories will be added soon.